WHEN aliens seize and torture Dr McCoy in “The Empath,” an episode of the science-fiction series “Star Trek”, Captain Kirk and Mr Spock rush to his aid. 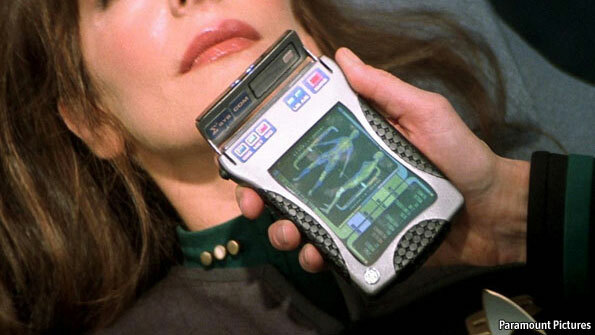 They are able to assess his condition in seconds with the help of a medical tricorder—a hand-held computer with a detachable sensor that is normally used by Dr McCoy himself to diagnose others. 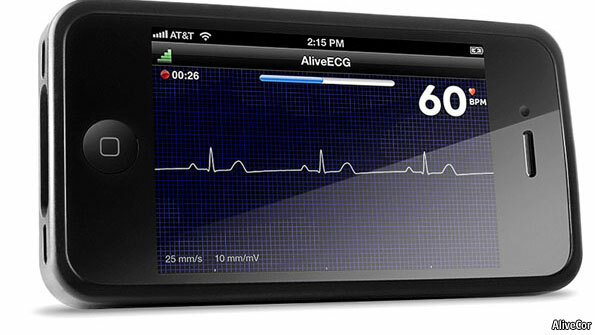 A quick scan with the tricorder indicates that he suffers from “severe heart damage; signs of congestion in both lungs; evidence of massive circulatory collapse”. 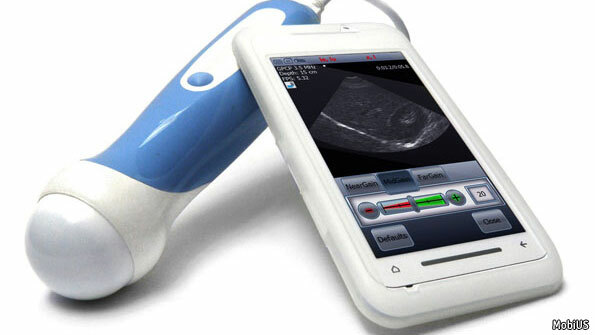 Read more: Medical tricorders: The dream of the medical tricorder | The Economist.